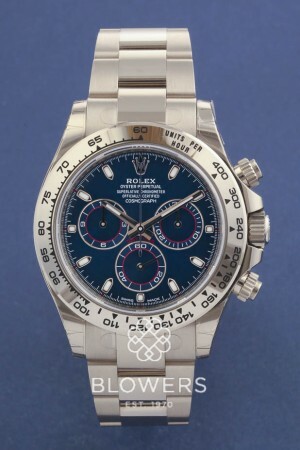 18ct white gold Rolex Oyster Perpetual Cosmograph Daytona 116509. White gold polished case with matte shoulders water resistant to 100m / 330ft. Equipped with calibre 4130, self-winding mechanical chronograph movement entirely developed and manufactured by Rolex. With a power reserve 72 hours. Blue dial with applied Arabic numeral hour markers and outer track minute markers. Screw down winding crown and push pieces. 18ct white gold polished and matte Oyster lock bracelet. Box and papers dated November 2017. SKU: 3006500. 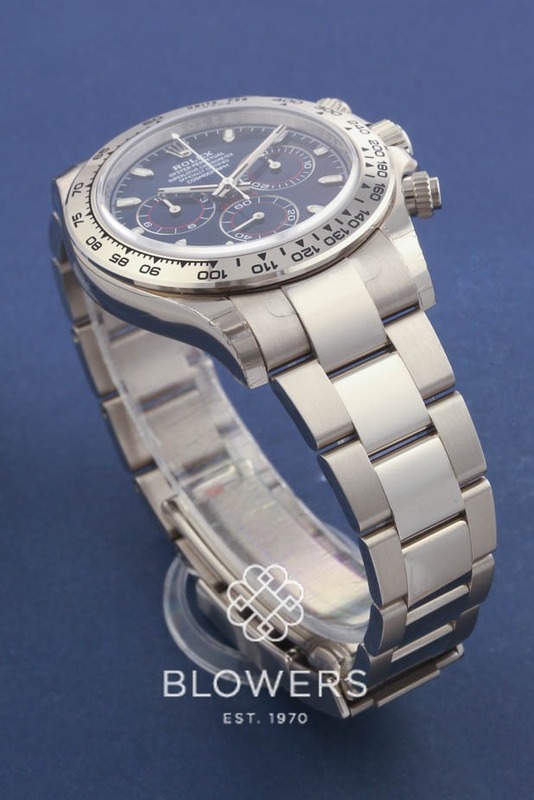 Categories: Daytona, Gents, Rolex.